Canberra: Saturday December 6th, 10am-5pm, Christmas drinks at The Asia Bookroom. Japanese Shakuhachi performance, 12-1pm. ‘Documentaries do not always have to be didactic, says Farida Pacha’, by Sweta Kaushal, in The Hindustan Times. ‘Persian Letters’, by Kevin Schwartz, in Reorient. ‘Stand Up For Your Rights’, by Sabin Iqbal, in Tehelka. 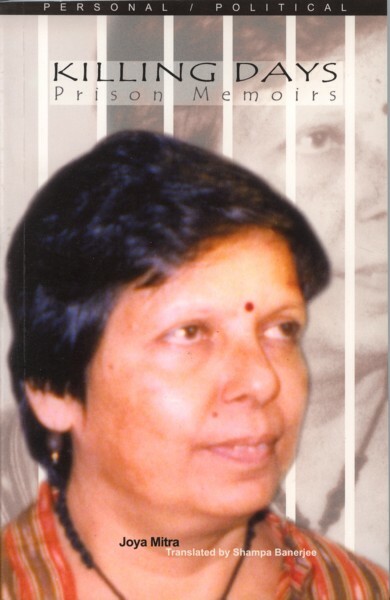 Discusses CK Janu, an Adivasi leader from Kerala, who is the subject/author of an interesting book, Mother Forest, that I have written about, academically. ‘The Scatter Here is Too Great by Bilal Tanweer-review’ by Hirsh Sawhney, on The Guardian. 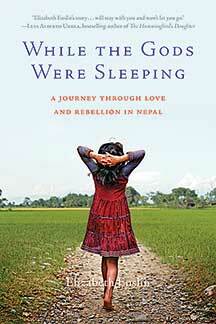 ‘While the Gods Were Sleeping: A Journey Through Love and Rebellion in Nepal’ by Elizabeth Enslin. Berkley: Seal Press, 2014. Provided with a review copy by the publisher. I devoured this in about three days when I had lots of other work I should have been doing. ‘While the Gods Were Sleeping’ is a wonderful, honest account of a young woman’s encounter with an alien culture that she hadn’t been all that interested in coming face-to-face with, and it was that honesty from the outset that made me like, and empathise with, Elizabeth Enslin. A young anthropology student in the 1980s, Enslin meets her future husband Pramod while at grad school. She had intended to specialise in some part of Africa, but as Pramod becomes an increasingly important part of her life, she switches academic tack and forces herself to become interested in South Asia. Her descriptions of the confusion and desperation of finding your path through grad school is so relatable to anyone who has been through this themselves. Her attempts to combine her research and love interests leads her to the Nepali Terai–the plains bordering India–where her husband’s family live. She admits never having been drawn to Nepal, even while her peers were taking themselves off on pilgrimages to the mountains, and this is something I feel an affinity with. After having lived in Kathmandu for a year myself, I feel a strong attachment to the country now, but while I loved India and was constantly drawn back to it, I still am, it was really only my job in Kathmandu that took me there, and it might have taken me several more years to make it there if not for the job. I still don’t entirely understand the stereotypical hippy-trail pull of Nepal, and neither did Enslin. While the Gods Were Sleeping is Enslin’s account of how she trod the very tenuous line between Nepali daughter-in-law and foreign anthropologist, how she had to make enormous compromises and sacrifices in both roles, but was ultimately successful–in that way that ambitious, talented women often are–in making it all work, imperfect as it was. Although the sub-title of this book–‘A Journey Through Love and Rebellion in Nepal’–is actually perfectly descriptive of what transpires, as Enslin is involved with some women’s movements in Chitwan, knowing what I do of Nepal, I thought it meant the Maoist insurgency. In fact, the book is set some years before that, in the 1980s, but it was only when I was quite a long way into it that I realised that particular rebellion had no part in the story. It’s a minor thing which might not bother a reader who knows less about the country, but I thought it was unnecessarily misleading. “I grew to love that concept of culture the way I loved my Swiss army knife. If culture, rather than human nature, made us who we were, there was nothing natural or inevitable about racism, hate, war. With a concept of culture, we anthropologists could fix anything, or at least explain it. But too deep a love can disappoint, and that concept of culture had so far mostly failed me in Nepal. Ever since my first arrival, Pramod’s family and village had offered a perfect opportunity for intimacy with another culture. My pregnancy offered even more. Even when I didn’t plan research there, I should have been more curious. Yet all along disappointment nagged at me: these Brahmans I lived among were not the kind of Others I had in mind when I decided to become an anthropologist.” (p. 120). Enslin is the author of an influential academic essay, ‘Beyond Writing: Feminist Practice and the Limits of Ethnography’, which I have been encouraged to read after reading this book. While the Gods Were Sleeping is not a ‘mainstream’ book that a large number of readers will be able to identify with, but anyone with an interest in real South Asian issues, feminism, athropology and the developing world will find it immensely satisfying. I’ve just had an article published in Intersections: Gender and Sexuality in Asia and the Pacific, an open-access academic journal. It’s called ‘Reconciling Feminist and Anti-Caste Analyses in Studies of Indian Dalit-Bahujan Women’, and looks at the work of three publications by Indian feminist presses. It’s a modified and shortened version of one of the chapters of my PhD thesis. This article is a good example of why I chose to leave academia (nothing to do with the article itself! But the publication process.) I first submitted this two years ago. I had to have my final changes made at the end of 2012. My final proofs were done in mid-2013. Yet it is only now being published. I’m not blaming anyone involved, but the whole academic publishing process means that studies are not reaching their target audience in a timely manner, even when there aren’t the physical logistics of printing and distribution involved–Intersections is an online journal. The system really needs an overhaul, but is unlikely to get it anytime soon. For example, I wrote this long before the author of one of the books discussed, Sharmila Rege, died last year. I wouldn’t necessarily have changed what the article contains after the news of her death reached me, but I may have wanted to add some kind of footnote in recognition of it. But, all is well that ends well. Here is an extract from the article, and the rest of the article can be read by everyone (I love open-access academic journals, especially now that I’m no longer based at a university!) here. Change, by Mo Yan. Translated from Chinese by Howard Goldblatt. London, New York and Calcutta: Seagull Books, 2012 (2010). (Purchased in Nepal). Chinese? Yes, a radical departure from what I normally read, let alone review. I spent far too many years restricting my reading while completing my PhD that expanding it to other places and genres and even genders still feels a bit naughty but also quite liberating. This short piece of autobiographical fiction/ fictional autobiography (?) by one of China’s pre-eminent authors was published by Kolkata-based Seagull Books, and it is really this fact that drew me to it (and motivated my inclusion of it here). Seagull Books is a very interesting press specialising in publishing translations of radical writers, or non-fiction on ideas that many mainstream publishers overlook. They have published a large body of Mahasweta Devi’s work in English translation; produce a series on censorship (which includes a title on censorship and Islam penned by Kamila Shamsie); as well as curate the series that Mo Yan’s Change belongs to, provocatively titled “What Was Communism?” and edited by Tariq Ali. Seagull Books deliberately positions itself as an international publisher based in India, rather than an ‘Indian publisher’ which, rightly or not, is a label that can suggest inferior quality to outsiders (though certainly less so these days, with the entry of many international publishers to India). Seagull’s production quality is not only good, it is excellent–eye-catching and innovatively designed. The cover art on their books by Mahasweta Devi is iconic, and this series on communism is just as distinctive, with bold red and yellow designs. And what about Change itself? 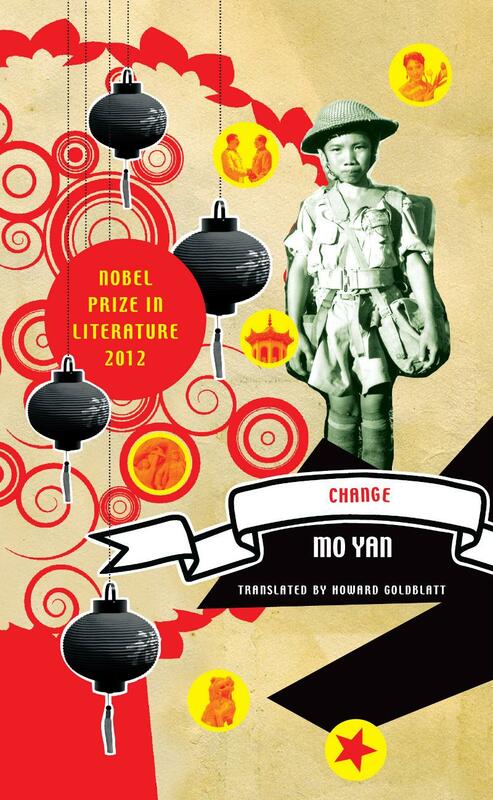 Described as a “novella disguised as an autobiography (or vice versa)” I’m not sure it was the best introduction to Mo Yan, who I had been intending to read for some time. The interest in an ‘autobiography’ of a writer whose other work one hasn’t read is limited. But it is certainly a title fitting to this series, as the narrator (whether that is Mo Yan himself, or some fictionalised avatar) recounts growing up in an often illogically rigid communist China. More of Mo Yan’s titles, translated by Howard Goldblatt, appear in the series. 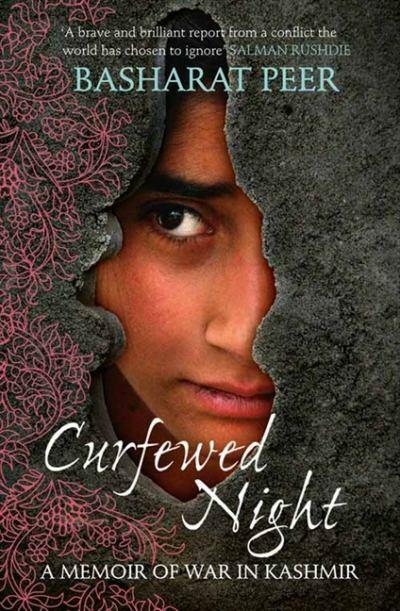 Basharat Peer’s Curfewed Night is a moving memoir of an ordinary, middle-class, Muslim Kashmiri who has witnessed the destruction of his homeland. Writing on and from Kashmir has increased in the last few years–Urvashi Butalia’s Speaking Peace, Mirza Waheed’s The Collaborator and Anjum Zamarud Habib’s Prisoner No. 100 (reviewed earlier by me) come to mind–but there is still a dearth of first-hand accounts from this region that is difficult to report from and relatively cut-off from the rest of India, psychologically as well as geographically. This belief in the power of words, literature, reportage to help rectify the wrongs is repeated throughout the book. One cannot but help feel that it cannot make much difference to the situation, but that it is still necessary to expose the crimes in the hope that one day, enough people will be horrified by the brutality that some change can be made. Either way, the written and spoken word is all some people can do to try to make a difference. The most poignant and horrifying tale that Peer tells in Curfewed Night, in my mind, is the story of Syed Abdul Rahman Geelani. A teacher of Arabic at Delhi University, Geelani was wrongly implicated in the attacks on the Indian Parliament in 2001. Despite a strong defense which, from Peer’s account, unequivocally proved that the evidence upon which his charge was based was extremely flawed, Geelani was found guilty and sentenced to death. He was acquitted after appeal, and allowed to return to his teaching job at Delhi University, but one cannot imagine the effect that such a false accusation could have on a person’s life. Many other horrifying stories of torture, mistaken identity and sheer terror are recounted by Peer, imploring the reader to wonder, however naively, what on earth the Indian government thinks they are doing with Kashmir. Peer finds, however, that the injustices are not all one-sided, and that however horrifically “India” has behaved in Kashmir, the Kashmiri militant separatists have been guilty, too. Peer speaks to one ex-militant who had been imprisoned and tortured, badly damaging his eyesight and ability to conduct a normal life. Once released from jail, the support he receives from the organisation he fought for, the JKLF (Jammu and Kashmir Liberation Front) is inadequate. Meanwhile, the leaders of that organisation live in big houses with fancy cars, with no understanding or little compassion for the torture that the men fighting on their behalf have suffered. It may be one of the biggest cliches around, but Curfewed Night demonstrates, first hand, that in war there are no winners. Now that the summer holidays are over, and I’m back at work, my reading’s getting a bit heavier. Prisoner No. 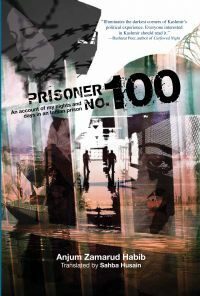 100 is an account of the five years that the author, Anjum Zamarud Habib–a Kashmiri Muslim woman–spent in Delhi’s notorious Tihar jail in the early to mid 2000s. She was arrested under the controversial POTA (Prevention of Terrorism Act), an act that was actually repealed, though not retrospectively, while Habib was being kept in prison. During most of her five years she was kept there without charge, being denied bail again and again, supposedly due to the seriousness of the crime she was accused of–providing money to Kashmiri terrorist organisations. Habib’s account suggests that she was framed, and evidence against her fabricated by the police. Though a single book cannot necessarily change this type of behaviour or attitude, an increasing awareness of Kashmiri womens’ predicament can only be built through publishers like Zubaan making every effort to publish books such as this. While a description of the dire conditions of this Indian prison is important in itself, a narrative very similar to this one could have been written by any educated ex-prisoner. I am not saying that Habib’s Kashmiri identity is not present, because it is–particularly when she notes the discrimination she faces–but I think a lot more could have been done to note exactly why she was thrown in prison, particularly the politics that led to it, and what she did once she left. The reader knows that POTA is a draconian law, but we are not told its history or its broader implications and ramifications. Perhaps this would have been too dangerous for Habib or for Zubaan. The Indian government does not consistently or strictly censor works of literature, but a more politicised Prisoner No. 100 might have encountered resistance. Considering the dearth of material on women in the Kashmir struggle, this is a welcome book, despite its lack of much-needed, and -wanted, context.